Bring your damaged hair back to its former glory with Shu Uemura Art of Hair Silk Bloom Shampoo (300ml), a blend of argan oil and aromatic Japanese hirosaki flower. 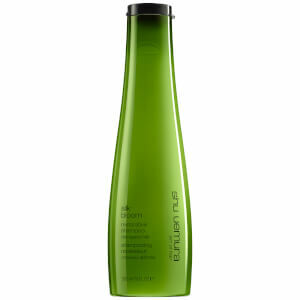 Your hair will be fortified from root to tip, leaving it feeling luxuriously soft, silky and manageable. Each fibre of your hair is nourished with vitamin E and ceramides, creating a strength that can be felt with the slightest touch. 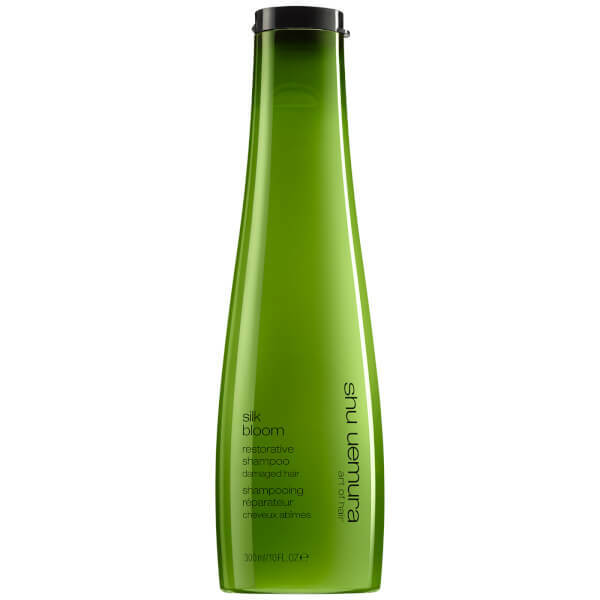 For the best results, dampen your hair and apply a small amount of Shu Uemura Art of Hair Silk Bloom Shampoo; then rub into your hair and scalp well before rinsing away. Aqua / Water, Sodium Laureth Sulfate, Disodium Cocoamphodiacetate, Glycerin, Glycol Distearate, Sodium Chloride, Ceteareth-60 Myristyl Glycol, Polyquaternium-10, Disodium Ricinoleamido Mea-Sulfosuccinate, Sodium Benzoate, Hexylene Glycol, Sodium Methylparaben, Peg-55 Propylene Glycol Oleate, Salicylic Acid, Propylene Glycol, Ethylparaben, Argania Spinosa / Argania Spinosa Kernel Oil, Methylparaben, Alcohol, Coumarin, 2-Oleamido-1,3-Octadecanediol, Safflower Glucoside, Gentiana Lutea / Gentiana Lutea Root, Extract, Parfum / Fragrance.